Dan founded Mackay Lawyers & Advisors in 2016 so he could work for his clients the way they need and the way he wants to. By combining an uncompromising attitude, unique forensic abilities and a risk-based, pragmatic approach to outcomes Dan delivers his clients a unique service. He anticipates issues multiple steps in advance to inform present decision-making, helping you navigate complex landscapes and threats. He has extensive experience in complex and high impact disputes, working on a number of the largest and most significant investment related insolvencies, collapses and restructures of the last 10 years and presently represents multiple clients in investigations and actions by ASIC. 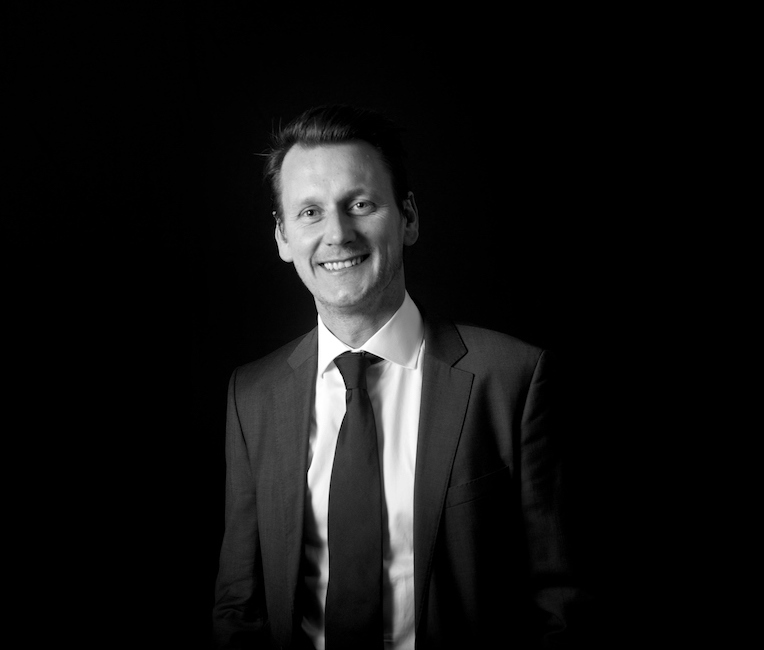 Prior to ‘breaking away’ from ‘large firm’ commercial practice, Dan was a partner at a national firm where he specialised in commercial litigation, funds management and financial services regulation and disputes. Before that, Dan worked at a Melbourne based boutique firm in its financial services team and litigation, was an embedded lawyer in Enforcement at ASIC leading large and complex investigations and regulatory actions, and a criminal lawyer prosecuting serious crime on behalf of the Victorian DPP. He has experience in the High Court, Federal Court, State Supreme Courts (especially Victoria, Western Australia and South Australia), Victorian County Court, South Australian District Court and Magistrates’ Courts in several jurisdictions. He has also acted for clients before the Takeovers Panel, Administrative Appeals Tribunal, Victorian Civil and Administrative Tribunal, Superannuation Complaints Tribunal, Financial Ombudsman Service and Credit & Investments Ombudsman, investigations conducted by the Institute of Public Accountants and Chartered Accountants ANZ, and advised clients on a number of public inquiries and royal commissions. He is a regular contributor and commentator on regulation, consumer law, financial services law, law reform in investments and financial services and collective investments. He has made significant contributions to inquiries in the financial services and managed investments fields. Michael is a commercial litigation lawyer with specialised skills in financial services law and regulation, banking and finance, consumer law disputes and agricultural and rural legal issues. Michael provides strategic advice on cost effective methods to achieve the best possible outcomes often against well-resourced opponents. He has successfully acted for individuals and small to medium businesses in disputes against ASIC, banks and large businesses. Michael regularly advises on investments in failed or distressed agricultural managed investment schemes, regulatory actions taken by ASIC, and disputes between financial services licensees and authorised representatives. Driving the growth of Mackay Lawyers & Advisors’ agribusiness practice in this period of significant challenge and change for the rural, farm and agribusiness sectors, Michael combines legal expertise and a practical approach with his background in farming. He specialises in advising on rural legal issues such as investment in agribusiness assets, complex agricultural leasing disputes and farm debt disputes. Before joining Mackay Lawyers & Advisors, Michael was a senior associate at a national law firm where he acted for and against financial institutions, fund managers and Australian Financial Services Licensees in prominent regulatory and commercial disputes. He has acted in most Australian jurisdictions from the High Court to tribunals, with significant experience in the Federal Court of Australia and the Supreme Courts of Victoria and Western Australia. Yu-chiao is an experienced commercial lawyer, now practising predominantly in litigation and insolvency, and funds management and structuring. He has conducted cases in all Victorian courts and tribunals, the Federal Court and superior courts in other states. He is experienced in drafting complex commercial contracts, constituent and related documents for managed investment schemes, advising on compliance matters and undertaking risk reviews of contractual arrangements and businesses. Before joining Mackay Lawyers & Advisors, Yu-chiao operated his own legal practice and consultancy where he ran numerous litigious matters primarily in the Supreme Court of Victoria, and consulted for other firms on matters including fundraising and loan arrangements for a large-scale agricultural land purchase, a distribution arrangement for a specialist bond fund manager and the establishment of a cross border time-sharing managed investment scheme. Prior to this, Yu-chiao worked as a dispute resolution and transactional lawyer in private practice and as in-house Counsel in a national waste management company. Charles is a trainee lawyer undertaking his graduate year. He provides support to our senior lawyers and consultants on complex matters involving corporate misconduct and mismanagement, investment loss, investigative litigation and managed investment schemes in all jurisdictions. He is experienced in asset investigation and electronic discovery, and runs smaller matters in the Victorian Courts and Tribunals. James provides ‘day to day’ support to our legal team helping deliver solutions for our clients. He is experienced in handling, processing and analysing large and complex quantities of evidence and discovery, and assists with property and asset investigation. Harriet runs our back office taking care of financial, management and administrative matters. If you have a query regarding invoicing, engagement, accounts or the administrative side of your please feel free to contact Hattie. Mackay Lawyers & Advisors has access to a range of specialist legal, compliance, advisory and economic consultants to put together the best team for your matter. We work closely with Integrity Compliance to deliver specialist, tailored and cost-effective financial services legal and compliance solutions. Integrity Compliance is an industry leading financial services regulatory compliance consultancy. It was established by Charlie Huang and Rhett Das in 2016 to deliver specialised compliance services and solutions. Both Charlie and Rhett have extensive industry experience and legal backgrounds. Mackay Lawyers & Advisors partners with Integrity to offer clients the best legal and compliance solutions. With different specialties and operational models, together we can deliver optimum financial services, regulatory or funds management services at industry leading quality and price levels. Learn more about Integrity Compliance here. Mackay Lawyers & Advisors works closely with a number of firms on the East and West Coast and Tasmania to deliver seamless and specialist services to its clients. We work especially closely with Perth based Edwards Mac Scovell Legal to deliver East to West legal services and continuity for their clients. Edwards Mac Scovell is a boutique Western Australia law practice offering commercially focused legal advice and services. The partners of EMS Legal have combined experience representing individual and corporate clients in the areas of property, construction, corporate advisory, employment, commercial litigation, insolvency and restructuring, and criminal. Click here for more information about Edwards Mac Scovell.